Resin paths or pathways don’t need to be expensive, time-consuming or bland-looking. For many homeowners, a resin bound path is a cheaper alternative to a full-blown project for a resin patio or a swanky driveway​,​ ​while ​still​ ​enhancing the appearance of your overall property. Whether you’re thinking of upgrading or extending existing structures or creating new, safer access paths, we take care of every project from design to completion. We’ll accommodate your preferences and supply suggestions to make your​ ​resin p​ aths ​and walkways compliment your property style, colour and surroundings – there is a whole range of colours, borders and kerbings to choose from​. As a resin paving specialist, we design and install resin pathways, footpaths and walkways for homeowners, commercial properties and local authorities. Unlike many competitors, our 10-year guarantee covers product and labour. As a family-run business, our name is our reputation. We are known for our friendliness, quality workmanship and leaving the area clean and tidy when the work is completed. Our service includes bespoke design and groundwork preparation if required. 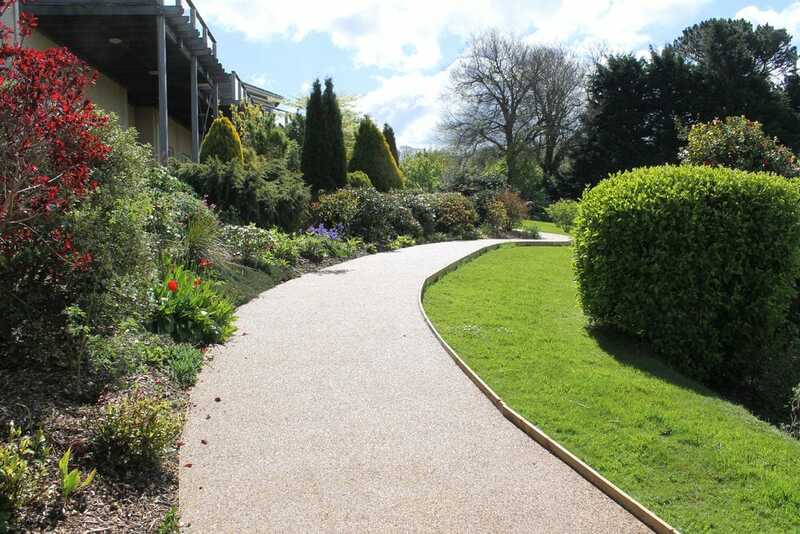 We design and install resin paths and walkways throughout Devon, Cornwall, Dorset and Somerset.